Billboards in Queensway on Crown Land removed! 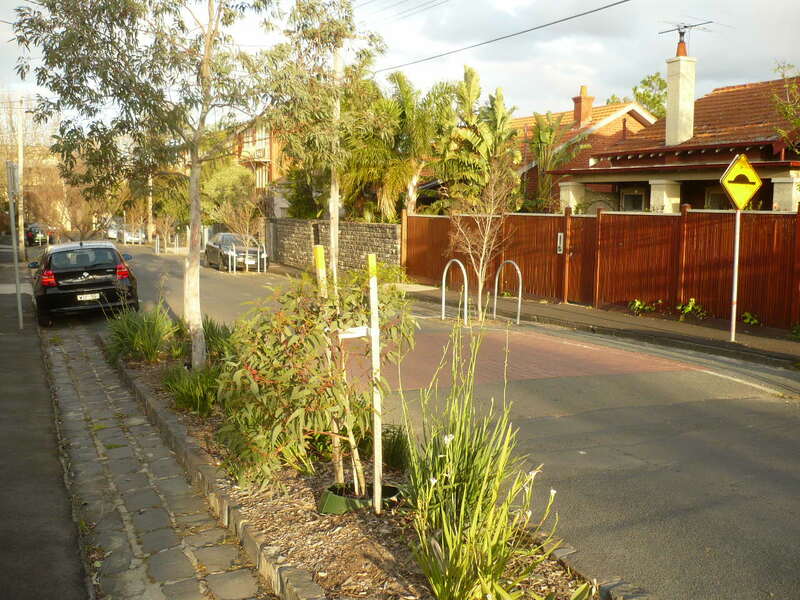 During this process, it came to JAAG’s attention that in 1998 an agreement was put in place between Vic Roads and a private company Albert Street Residents Pty Ltd whereby Albert Street Residents Pty Ltd would fund and erect a noise elimination fence along Albert Street to address amenity issues caused by traffic emanating from Queensway. Revenue from the billboards on Queensway would fund erection and maintenance costs of the fence. The agreement was put in place for a period of 20 years. JAAG has been instrumental in working with the Council to get two new lights installed in the laneway off Wellington St between 108-110 Wellington St. Prior to this the laneway had limited lighting for residents parking. For the past 11 years, JAAG has lobbied Council and State Government to have strategic planning guidelines for St Kilda Road South. In October 2018, the Minister for Planning finally approved Amendment C122, which implements the St Kilda Road South Urban Design and Land Use Framework through applying permanent controls for the St Kilda Road South Precinct. Amendment C122 came into effect when notice of the approval was published in the Victoria Government Gazette, on Thursday 18 October 2018. JAAG and local residents worked closely with Police over a number of months to bring about the closure of an alleged illegal brothel purporting to be a massage parlour in Wellington Street. The 20-storey tower built across train tracks in Chapel Street, Windsor was refused a permit by the Victorian Civil and Administrative Tribunal. After an eight-day hearing over the proposed development at 24 Chapel Street by SMA Projects, the tribunal ruled the area, which is “mildly grungy but also pleasantly edgy”, similar to Fitzroy’s Brunswick Street, would be uncomfortable with a modern tower next to a heritage streetscape. JAAG has recently been active in seeking greater protection for the heritage buildings in our precinct. At present Heritage Overlay 6, and some ‘individual’ overlays, give heritage protection to many buildings in the precinct, but equally a number of buildings of heritage value are not covered. As part of the process leading to Port Phillip Council’s St. Kilda Road South Urban Design and Land Use Framework (currently awaiting the Minister’s approval) JAAG sought to have these additional buildings given protection. The recent review by the Council of HO6 has accepted many of JAAG’s recommendations, in particular for buildings in Crimea and Redan Streets. The review also proposes that Alma Park (the ‘lungs’ of the precinct) be designated as historically significant. JAAG has made a submission to the review supporting these recommendations, but also proposing that Wellington Street itself be designated a heritage precinct, given the street’s inherent heritage significance particularly because of its transportation links over time and typified by the remaining engine house for cable trams (No. 105). The new beautifully grassed, white picket fenced oval, flanked by the fully restored historic Blackie Ironmonger Stand and the new northern complex is home to the redeveloped Victoria Cricket & Community Centre. With state of the art indoor artificial wickets, gym area, swimming pool, entertaining areas, small grandstand, electronic scoreboard and change rooms it is a major new asset St Kilda residents should make sure they inspect and will surely become proud of. Entry is FREE to many local cricket games (Men’s & Women’s) with some exception of larger events. Event space can be hired/ catered for and rental of indoor practice pitches are available for rent as well. December: After many months of work lobbying Transport Victoria and others regarding the design and location of the proposed PTV substation at St Kilda Junction, three alternative designs were put forward. The community selected option 1 Future Forest (pictured left), a great improvement on the starting point (pictured right) we think you’ll agree! JAAG members have campaigned tirelessly for the past 6 years to have planning controls in place for St Kilda Road South & Wellington Street. 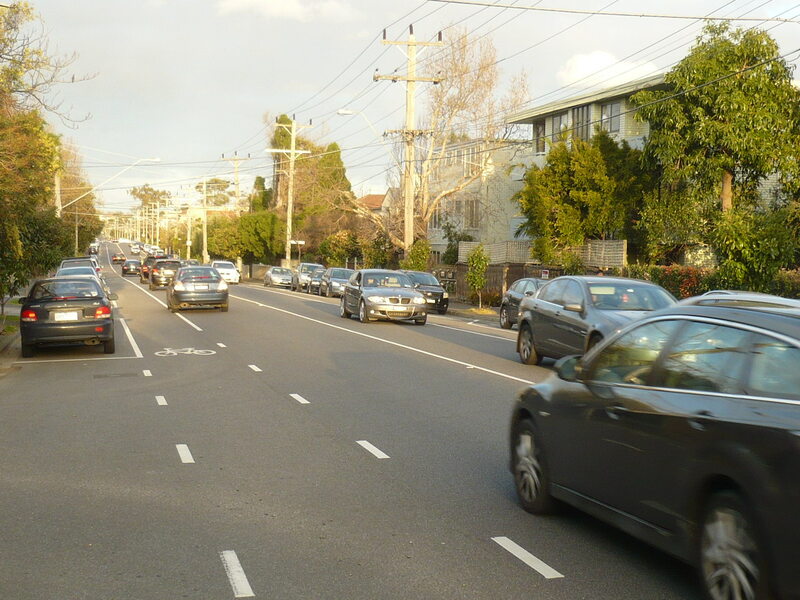 Amendment C122 – St Kilda Road South Framework was unanimously adopted by Council in September. Interim Controls were approved by the Minister for Planning and gazetted in December. The Minister also finally approved Amendment C123 which applies the New Residential Zones across the City of Port Phillip, comprising the: Neighbourhood Residential Zone; General Residential Zone, and the Residential Growth Zone. September: After much lobbying trees have finally been planted in Pattison Street. It has taken 2½ years to bring this streetscape project to fruition in this long neglected corner of the JAAG precinct. May: Wellington Street works progressed with the implementation of kerb outstands at Robertson Street and Marlton Crescent and associated planting. JAAG worked with VicRoads to eliminate unsightly ‘tagging’ on the Queensway sound barrier wall. As soon as graffiti appeared on the panels, JAAG members would alert VicRoads and then wait weeks for contractors to paint over the ugly tags. What appeared to be an ongoing battle has been solved with the installation of faux ivy panels. The lush green insert panels have eliminated the constant need for VicRoads contractors to maintain the site. April: The Minister for Planning has introduced interim height and overshadowing controls to St Kilda Road South and Wellington Street in the form of Amendment C145. Amendment C145 introduces interim mandatory built form controls only while a separate amendment process is being undertaken in relation to permanent controls (Amendment C122). January: Repair of footpaths and other tripping hazards has taken place along various sections of Wellington Street during January. June: VCAT refused Planning Application 776/2014 on 6/6/16 – a great outcome particularly on the heritage front! JAAG members are delighted that VCAT refused a planning permit that included demolition of the existing heritage dwelling and outbuildings and construction of a three storey building of 21 apartments above a basement car park. April: The addition of two new inter linking loop gravel dog walking paths in Alma park has ‘pet-parents’ and their dogs yelping with glee! November: Council unanimously adopted the St Kilda Road South Land Use and Urban Design Framework to progress implementation of the Framework through requesting Ministerial Authorisation to prepare and exhibit Planning Scheme Amendment C122; and request the Minister for Planning to introduce interim development controls via Amendment C121 whilst the permanent controls are progressed. The long journey to this point is well on the way with still work to do before the Minister’s final decision. November: Council has developed options to improve the infrastructure of Wellington Street with the aim to address traffic speed, safety and functionality as well as improve the amenity of the streetscape. Council received more than 200 visits to the Have Your Say site with 40 respondents completing the survey or submitting a response. Council officers will take all feedback into consideration to refine the design into a final concept. The priority for stage one delivery remains the Upton Road intersection with this planned for March/April 2016. The remaining works are subject to funding over future years. The JAAG committee encouraged JAAG members with an interest in the street to view the proposals and comment. Some members of the committee have been involved in the development of the proposals, including through a workshop with Council Officers. Their views on the proposals were issued in a newsletter which can also be accessed from this site Proposed Wellington Street Upgrade. August: The Marlton Crescent lane-way upgrade was completed. The right of way at the rear of 90-100 Wellington Street was upgraded as part of the City of Port Phillip’s 2015/16 Laneway Renewal Program. Works which have been completed include: reconstruction of the lane-way consisting of bluestone pitcher pavement; reconstruction of vehicle crossings at both ends of lane-way; and upgrades to existing storm water pits. 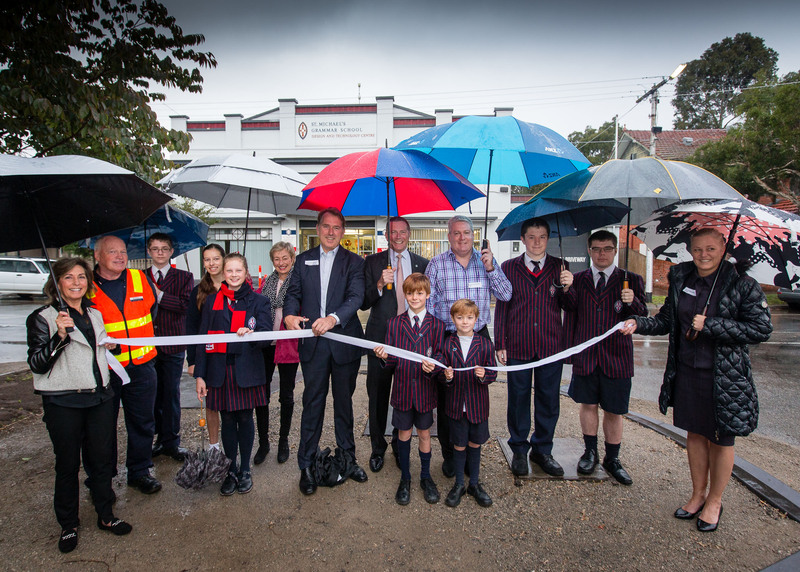 Pictured: The ‘brollied’ local residents together with St Michael’s Grammar Principal Simon Gipson, staff and students plus Cr Andrew Bond watch-on as MP Clem Newton Brown cuts the ribbon. April: A new school and community crossing across Wellington Street was commissioned in April 2014 following years of behind-the-scenes lobbying by Junction Area Action Group (JAAG). Prominent JAAG resident Virginia Browne thanked MP Clem Newton Brown for convincing Vic Roads that there was a pressing need, City of Port Phillip Council for building the crossing and St Michaels Grammar for supporting the project. Clem Newton Brown said, “It was of paramount importance that the crossing was built to ensure student safety on Wellington Street.” With the busy collector road of Wellington Street carrying in excess of 4000 vehicles a day, JAAG has long been concerned with the safety issues facing school children and others crossing the road at the T-intersection of Marlton Crescent. The new crossing with 40 km/hr signage and significant street alignment has been designed to meet Vic Roads requirements and constructed by the City of Port Phillip – will also serve as a safer community crossing point for residents, particularly those traveling to and from work. 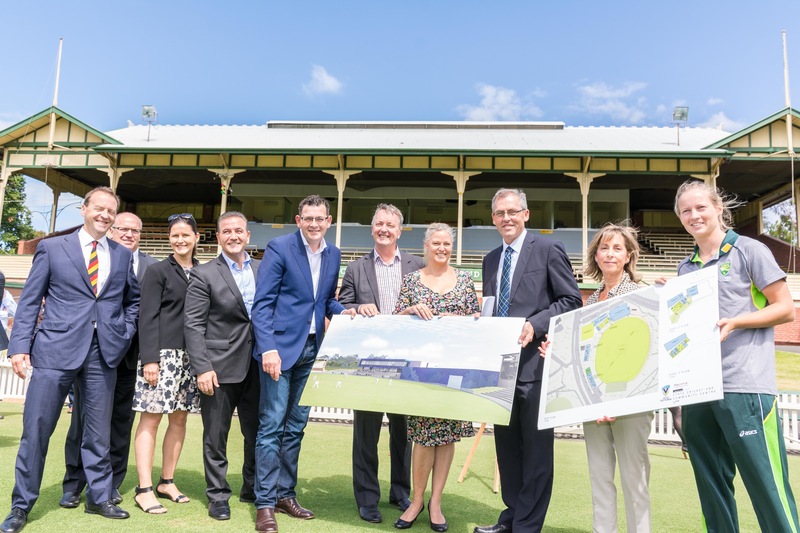 December: Junction Oval – The Premier announced on Christmas Eve the Government’s intention to honour its pledge of $25 million to the upgrade of Junction Oval as the new home of Victorian Cricket. The new facilities and upgrade of the two existing heritage stands will be a total cost of $40 million. Now that Cricket Victoria have the commitment of the $25 million from Government towards the total cost it will mean that work will commence on the new facility in 2015. Congratulations to JAAG Committee Member Jo McDonald for lobbying on this issue. 2013 February: Following numerous submissions by JAAG, Port Phillip Council approved preparation of a Study of the urban design framework and urban design guidelines for the St. Kilda Road South Precinct, including the JAAG area, to fill the ‘planning void’ being exploited by developers. April: Following representations by JAAG to Port Phillip Council, the reversion of the premises at 74 Wellington Street to single occupancy as required by VCAT’s enforcement order. At the suggestion of JAAG, Port Phillip Council required strict permit conditions on the grant of a permit for a Wine Import and Distribution office at 4 Upton Road. These ensure hours of trade and that liquor is not sold to the general public, rather clients must make an appointment. June: Following submissions by JAAG, VCAT refused a permit for two major sky signs on top of the building at 23-27 Wellington Street, creating a precedent for signage east of St. Kilda Junction. Following submissions by JAAG members & residents, VCAT refused a permit to conduct a backpackers’ establishment at 126 St. Kilda Road. August: Following submissions by JAAG, VCAT refused a permit for a 14 storey residential tower (originally 17 storeys) at 30 Punt Road, Windsor. Port Phillip Council required conditions on the grant of a permit for signs on hoardings at the ‘Lego’ building site at 2 St. Kilda Road, as suggested by JAAG, to ensure that the signs can only promote the building itself and limiting lighting. September: Following submissions by JAAG and consultations with residents, new tree planting in Marlton Crescent (of Chinese Pistachio and Kings Park Bottlebrush) to maximise canopy cover and provide a more vibrant landscape. 2012 February: Meeting with Council, St Michael’s Grammar to discuss implementation of changes to adjacent street traffic/parking issues in Marlton Crescent. 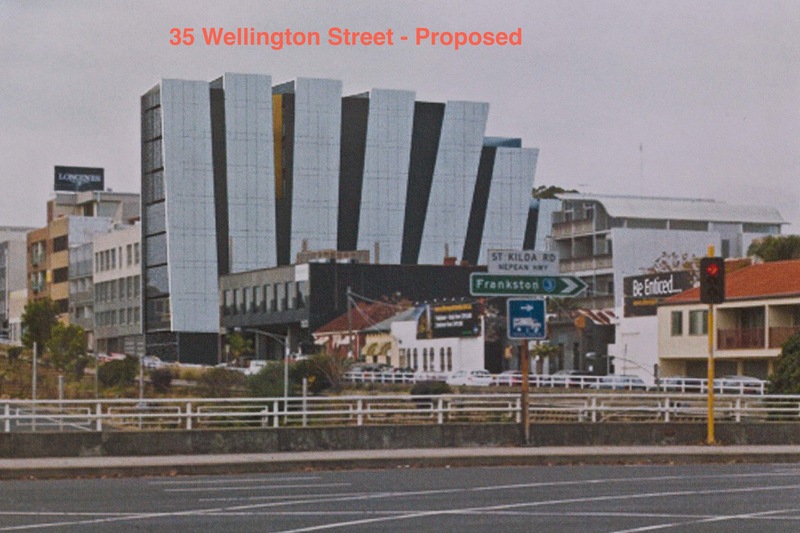 JAAG Successfully opposed at VCAT an 8 storey high rise high density development at 35 Wellington Street. VCAT refused to issue a planning permit. Public Street lighting installed in Nelson Street. June : At a VCAT hearing JAAG objected to an 18 storey LEGO tower at 2 St Kilda Rd being granted. Council announces improved pedestrian and road safety measures on Alma Rd between St Kilda Rd and and Chapel St.
August: VCAT grants permit for an 18 storey Lego tower at 2 St Kilda Rd, but subject a number of JAAG initiated conditions affecting wind tunnel testing, delivery van parking, front and side elevation set backs,crane noise and adjacent property’s developers rights. JAAG called on the police to enforce right hand turn restriction from Wellington St into Upton Road and into Crimea St (between 4-6pm). Hundreds of motorists a day were blatently flouting the law by making illegal turns and creating a high volume ‘rat run’ through these streets. A subsequent blitz by the Highway Patrol over a number of days saw dozens of ‘very angry’ motorists booked, resulting in just a trickle of driver risking it in the weeks afterwards! September: CoP advises JAAG of improved Marlton Crescent streets cape plans. Letter from Vic Roads received advising that in principle and subject to a CoP application and funding, it approves a school pedestrian crossing over Wellington St to St Michael’s Grammar technology centre. 2011 February: JAAG staged a well supported Community Meeting, attended by State Govt Member, Clem Newton-Brown & CoP Junction Ward Councillor, John Middleton. JAAG called on Council to carry out a Traffic & Parking Precinct Study. April: CoP traffic study was carried out by independent Consultant for Council. April/June Council conducted parking study. September, 2011 draft Traffic & Parking Precinct Study results provided to JAAG. JAAG called on Government to gazette C62 Planning. August: Unsuccessfully opposed high rise high density development at 3 St Kilda Rd when called in by the Planning Minister, Matthew Guy. September: Individual members of JAAG successfully opposed at VCAT an 11 storey high rise – high density development at 25 Alma Rd, which saw VCAT refused a planning permit. 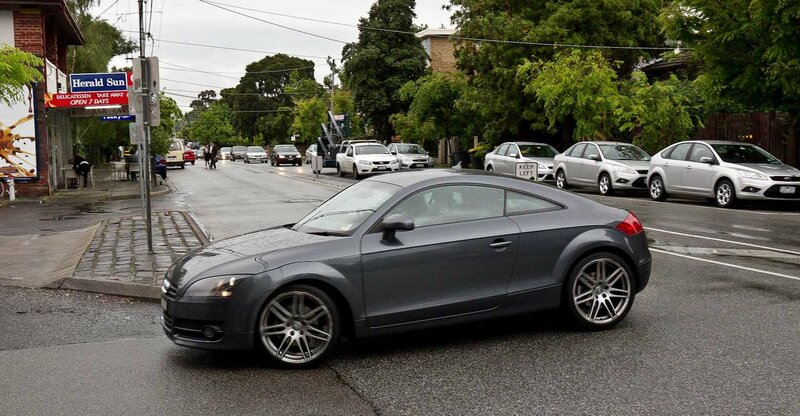 JAAG called on Council for improved pedestrian and road safety measures on busy Alma Rd between StKilda Rd and and Chapel St.
December: After 2 years opposition to high rise high density development at 61 Wellington St, Council refused to issue extension to planning permit. 2010 Installation of Nelson Street’s streetscape improvements including the installation of palm trees. 2007 Individual Members of JAAG successfully opposed high rise – high density development at 44 Wellington Street. 2006 Individual Members of JAAG successfully opposed a proposed 24/7 Tavern application at 14 Punt Rd (at former TaiPing restaurant on the corner of Punt Rd and Nelson St at the Junction). Connection of street lighting to old lamps in Fitzroy St from St Kilda Rd to Grey St.
Albert Park Reserve east end at Fitzroy St saw maintenance to paths & better lighting along paths. 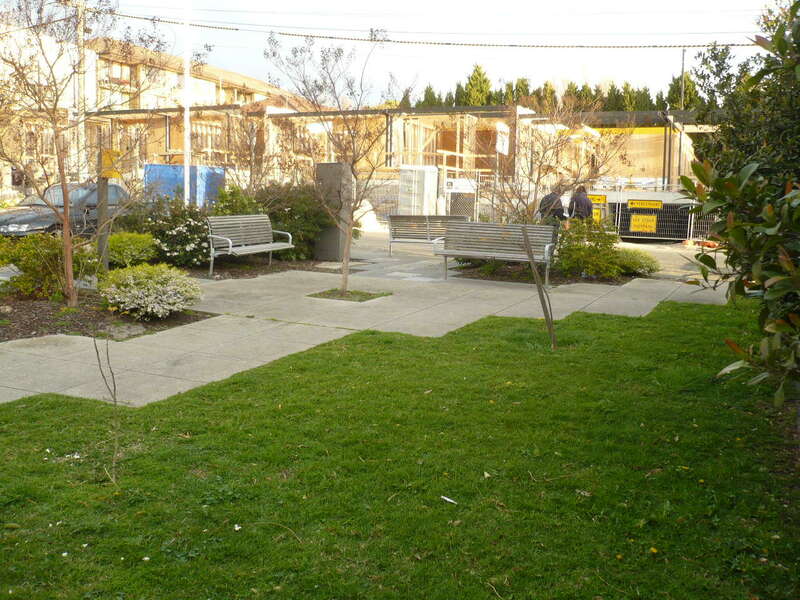 Octavia Street – request for a pocket park be created on a spare pocket of land being used as a rubbish dump on the corner of Octavia Cres – Ministry for Housing & Council landscaped park & provided seating which today is well used by its locals. 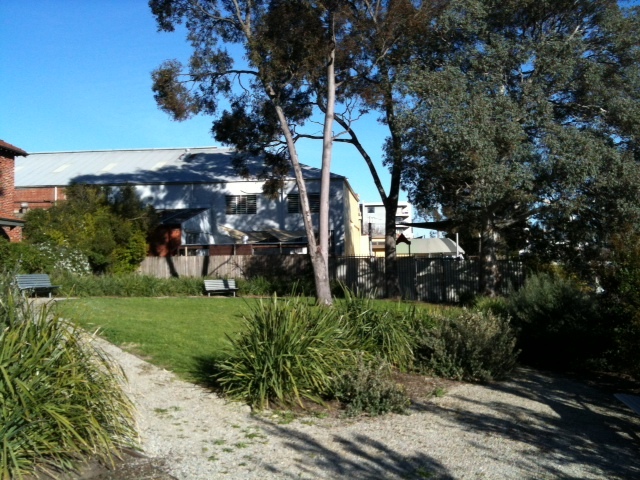 Individual Members of JAAG successfully campaigned to have as a permit condition for the Salvation Army Crisis Accommodation Centre – Section 173 an agreement for triangle piece of land at the eastern end of Dandenong Rd and Wellington St to be developed by Salvation Army into maintained landscaped park for use by all locals. Individual members of JAAG also successfully lobbied Council, Vic Roads and Yarra Trams to clean up the unsightly graffiti adorning St Kilda Junction’s pedestrian underpass. Soon after official graffiti murals painted by approved graffiti artists were adorning the underpass’s concrete walls. 2004 First Street BBQ, Streetscape improvements for Octavia St & Moodie Place. 2003 Streetscape improvements called for in Wellington St.
2002 April: JAAG was initiated by residents to form a group to work together and with the City of Port Phillip to improve our area and create a stronger sense of community for everyone in the neighbourhood. Focusing on: Street cleaning; traffic speed and danger spots (especially in Wellington St); parking; lighting & footpaths; improved traffic flow; developing a coherent overall plan for streetscape and tree-planting; making the area more pedestrian friendly especially for seniors, disabled and young children. Longer Term Plan: Find ways to develop a strong sense of identity and community for our area. Commenced request for public street lighting in Nelson St; streetscape to Nelson, Wellington, Octavia Sts, Moodie Plce & Robertson Ave. 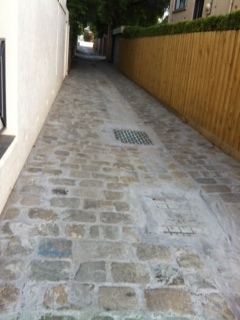 This picture in Octiva St shows the visual improvements after streetscaping completed. July: Individual Members of JAAG successfully opposed implementation of Tolerance Zones proposed for Wellington & Nelson Sts.